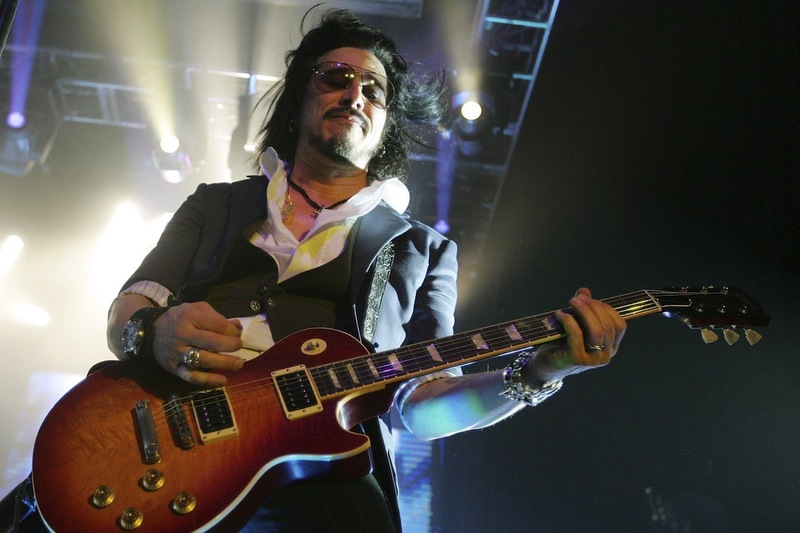 MetalRockNews: Gilby Clarke about Guns N' Roses reunion: "It's gonna be interesting to see Slash and Axl back together"
Gilby Clarke about Guns N' Roses reunion: "It's gonna be interesting to see Slash and Axl back together"
Former Guns N' Roses guitarist Gilby Clarke was recently interviewed by Star Radio, you can read some excerpts below. About Guns N' Roses reunion, he said: "You know, I'm probably just as curious as everybody else is. It's gonna be interesting to see Slash and Axl back together after all these years. I mean, I have certainly seen Slash many times; I've seen his solo band, I've seen Velvet Revolver. So it's gonna be interesting to see, after that big hiatus, what comes together from this. I'm just like a fan; I'm curious too." About how the members of Guns N' Roses dealt with Axl's stage tardiness while Clarke was in the band, the guitarist said: "Well, you know, back then, we drank a lot, and we got drunk a lot. I mean, that's the thing — we didn't know whether it was gonna be five minutes late or three hours late. It's just one of those things that… it came with the territory. We've all got our pluses and minuses with our jobs. The waiting was a minus."